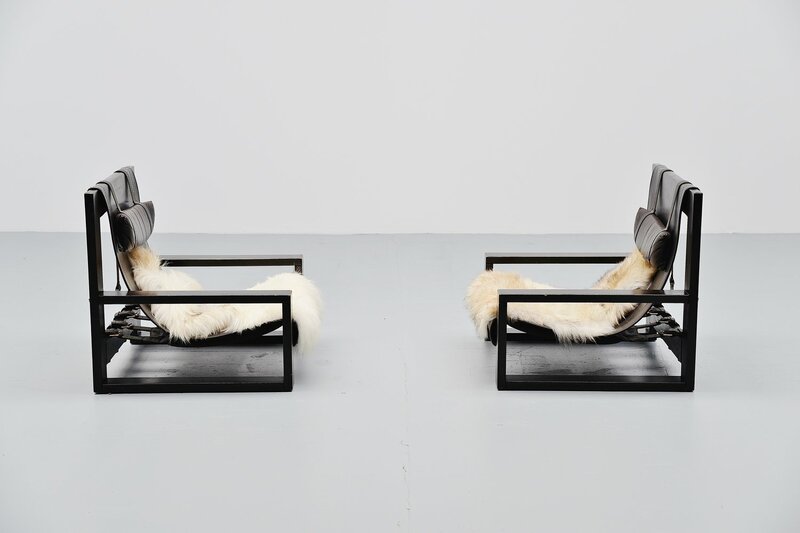 Very nice modernist lounge chairs designed and made by Sonja Wasseur Amsterdam, Holland 1970. 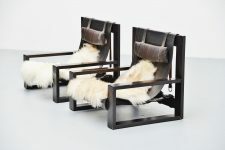 These chairs are made of brown lacquered wood and have thick brown leather seats. 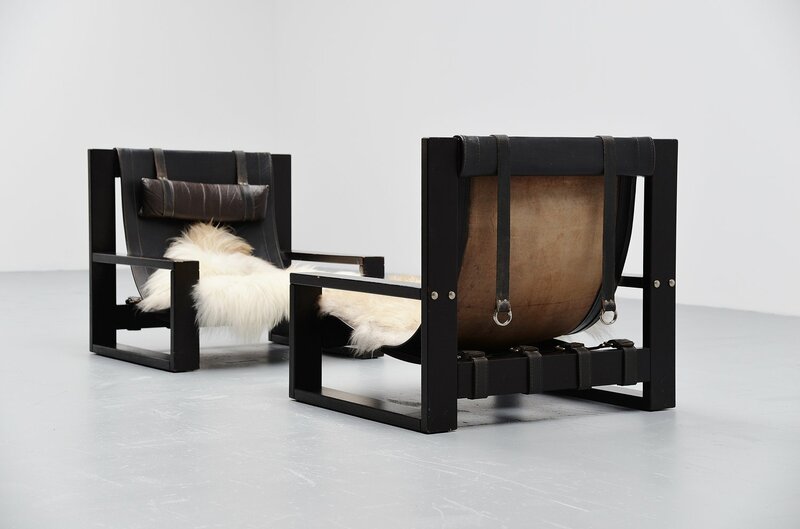 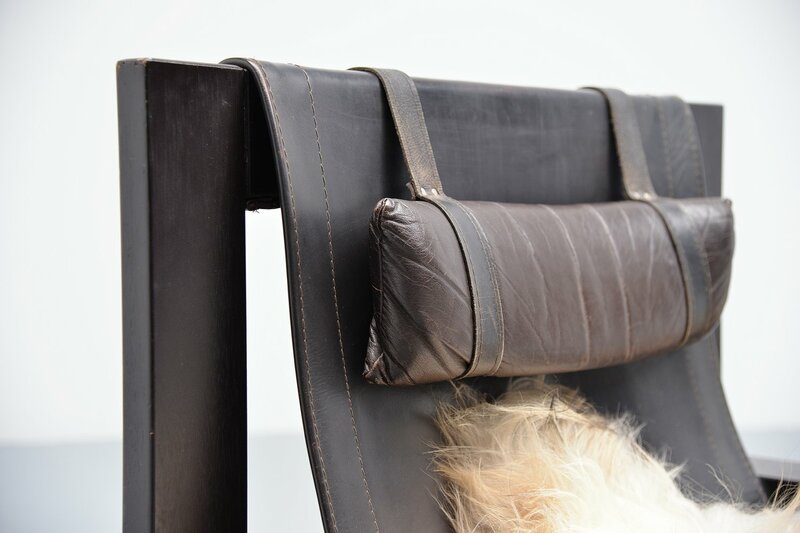 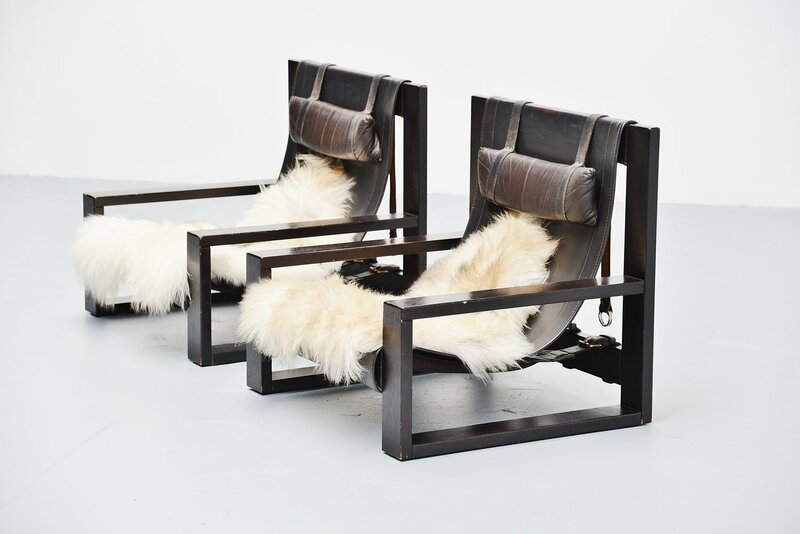 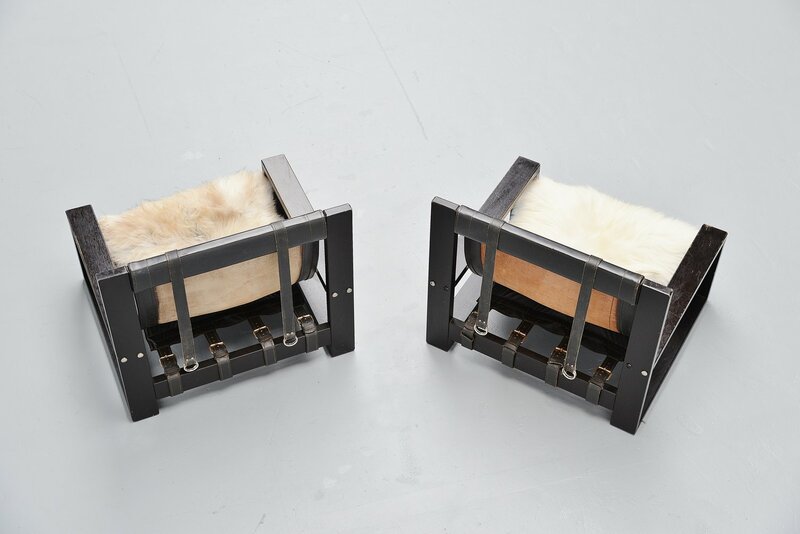 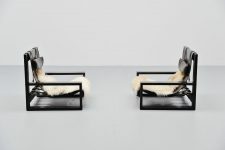 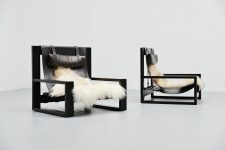 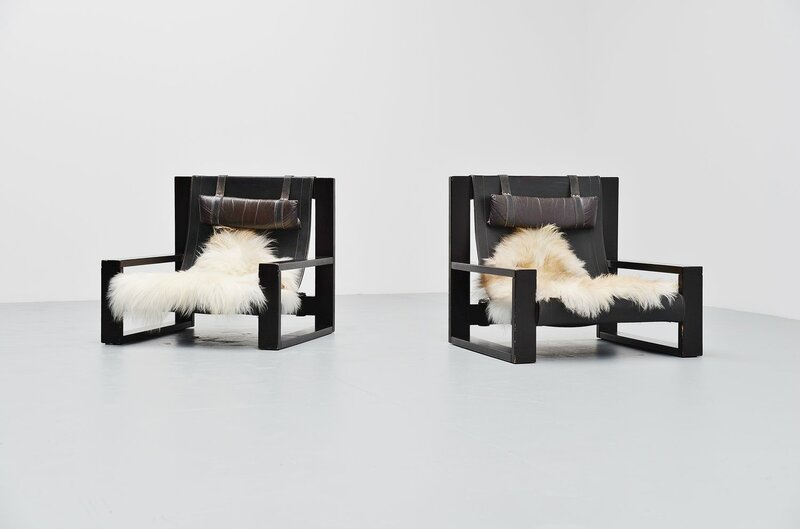 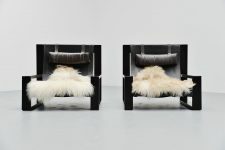 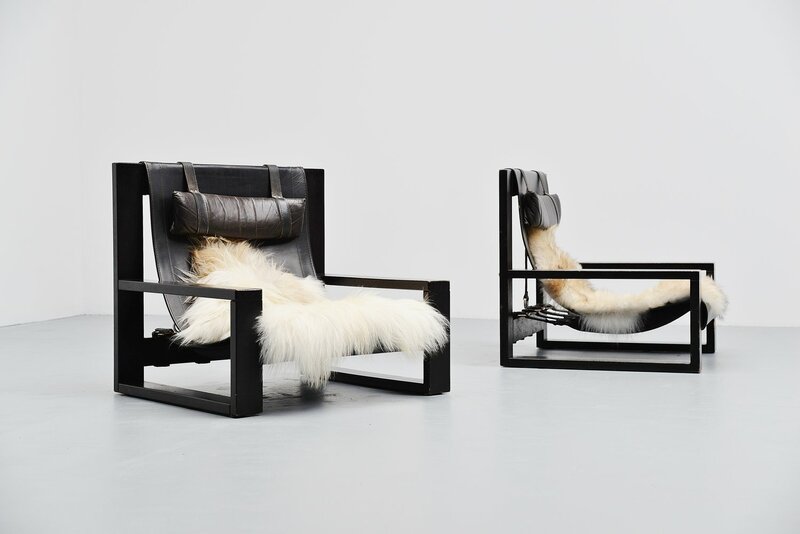 The chairs have metal details and they come with 2 Iceland sheep skins that look very nice with the chairs. 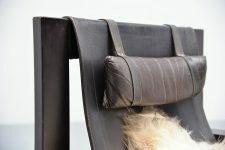 The chairs leather shows very nice patina but they are still very good looking and comfortable.